Structures and construction sites, whether permanent or temporary, require audited checks at regular intervals to ensure that it is safe and up to code. These site inspections are required by law and are taken up in the project’s health and safety plan, which can be called upon if an accident should occur or issue of any kind should arise.  OHSISA is available to conduct site inspections on both a planned and unannounced basis to ensure that construction teams are enforcing health and safety standards at all times. This includes the inspection of scaffolding to ensure that it has been installed correctly; ensuring that electrical installations have been fitted according to regulations; overseeing that the building process is fully up to code according to construction regulations, and more. It is important to note that according to the Occupational Health & Safety Act, construction health and safety professionals must be registered with a statutory body approved by the Chief Inspector qualified to perform the required functions. When you collaborate with OHSISA, you can rest assured that our credentials are fully compliant with the construction regulations as taken up in the Act. Our turnkey Health & Safety service solution includes all aspects of your business’ journey. Get in touch with our team of experts today for more information! © 2019 OHSISA. All Rights Reserved. Website Developed By Lime Juice Communication.